Juvenile detention ‘incident’: Don’t mention assault. The verbal gymnastics of the NT Government’s spin doctors are reaching dizzying heights. Last Friday there was an “incident involving three young people” at the Alice Springs Youth Detention Centre which is now a Territory Families facility, not a correctional one. Would that have been a riot? “Two Youth Justice Officers sustained injuries during the incident,” says a Territory Families department media release. Would they have been assaulted or did they just run into a door? According to one news report the two were hospitalised. Did they arrest any of the youths or did they just give them a lift? Hard to say because according to the media release “damage to infrastructure at the Centre saw 14 young people temporarily transported voluntarily to the Police watch house, accompanied by a Senior Youth Justice staff member”. Lucky the young people volunteered because, gosh, what would the Youth Justice Officers have done if the young people hadn’t? Why the police watch house, 30 kilometres away? The prison, of which the Youth Detention Centre used to be a part until recently, is right next-door. “The incident has now been referred to Police,” the release concludes. We invited Territory Families Minister Dale Wakefield to comment. 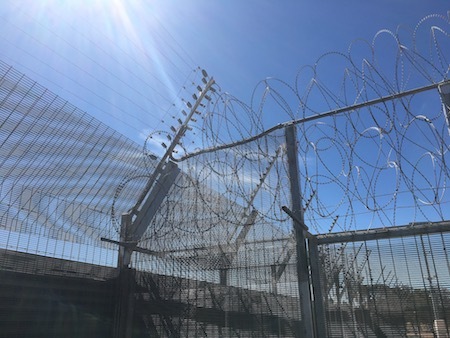 PHOTOS: The softly, softly talk by the Territory Families department media release notwithstanding, the juvenile detention facility is surrounded by razor wire. Cells for two have now been converted to single ones. Have any youths been charged? Three young people have each been charged with various offences and will be summonsed to appear in court at a later date. If so, how many and what charges? Assault a person; damage to property; engage in violent conduct. Were any of them taken to Don Dale? The three young people involved in the incident were transferred to Don Dale Youth Detention Centre in Darwin. 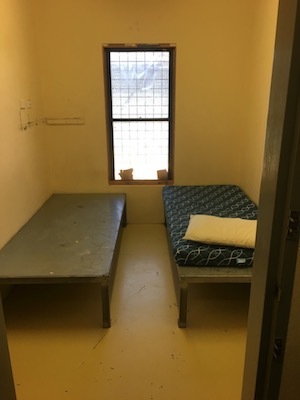 They were transferred to Don Dale Youth Detention Centre as it provides more appropriate accommodation options to meet the individual needs of each young person. What were the injuries the officers sustained? The Youth Justice Officers sustained injuries to the head, face and bruising. Both were provided medical assistance, neither were admitted to hospital and both are receiving appropriate support. How did they sustain them? They were hurt while escorting a young person to his room.